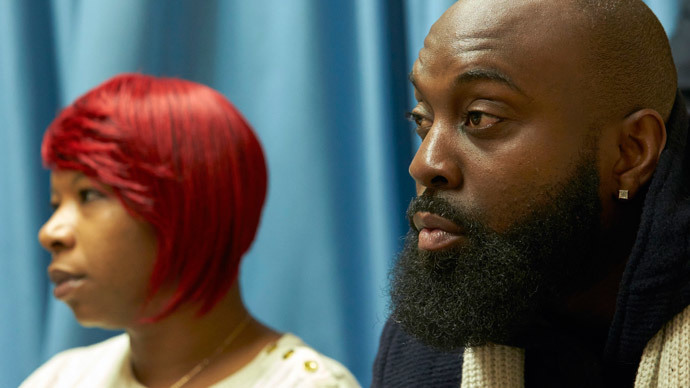 The family of Michael Brown ‒ the unarmed teenager shot by a police officer in Ferguson, Missouri in August ‒ will file suit against Darren Wilson, their lawyers announced. They wanted to wait until after the federal and state investigations concluded. “We feel and we’ve always felt from the very beginning that Officer Darren Wilson did not have to shoot and kill Mike Brown, Jr. in broad daylight in the manner that he did, that he had other options available to him,” Gray continued. On Wednesday, as widely expected, the Justice Department announced it would not charge Wilson with any civil rights violations in Brown’s death, which closed the book on the federal investigation into the shooting. The DOJ said forensic evidence and other witnesses backed up Wilson’s account that Brown fought with him, reached for the officer’s gun, then charged him. Wilson repeatedly told investigators ‒ both state and federal ‒ that he feared for his life. But the family disagreed with the government’s assessment, which will form the basis of their lawsuit. In a civil case, a plaintiff needs to show liability only by the preponderance of the evidence, not prove fault beyond a reasonable doubt. Brown’s parents believe that Wilson had other options available to subdue their son without using lethal force, Parks said. "There might be a lot of political forces that would be at work that would give the Brown family a chance at a quick settlement," New York lawyer and former prosecutor Paul Callan told Reuters in January. One of those forces could include the “searing” findings of a six-month Justice Department probe into what federal officials labeled as a pattern of unlawful conduct exhibited by the Ferguson Police Department that is laden with constitutional violations. Among the findings published in the 102-page report are well-documented trends showing that Ferguson police officers routinely detain and arrest residents without probable cause or suspicion, and too frequently resort to using excessive force. Justice specifically mentioned three Ferguson PD employees who had made racist remarks in city emails. One of them has been fired, while the other two have been placed on administrative leave and are under investigation, Ferguson Mayor James Knowles announced Wednesday night. Brown’s death kicked off months of protests across the country against police brutality and racism. Several days of rioting occurred in Ferguson after Prosecutor Robert McCulloch announced the grand jury’s ruling in November. After the DOJ’s announcements on Wednesday, a small but vocal group picketed the Ferguson PD, and at least two people were arrested.